There are 25 blog entries for August 2011. Tuesday, August 30th, 2011 at 11:16am. With interest rates remaning at historic lows and the Feds promising to keep them there, the illustration below shows clearly how buying power is increased with lower interest rates. Friday, August 26th, 2011 at 1:54pm. Darn it! So many good festivals! Just a few weeks ago was the ukulele festival and now, although late, I just learned of the slack key guitar festival. Darn, I missed it! 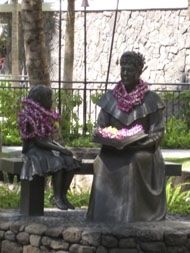 Both were free and held at the Kapiolani Park in Waikiki. "Intrigued? If you’re on Oahu this weekend, check out the musical mystique for yourself at the 29th annual Hawaiian Slack Key Guitar Festival “Waikiki Style” is set for Sun., Aug. 21, noon to 6 p.m., in Kapiolani Park." Friday, August 26th, 2011 at 12:54pm. Dallas is ranked second in the nation for residential construction activity behind Houston in the value of privately owned housing constructed last year. For those projects, Houston posted a collective value of $4.17 billion in 2010, according to data compiled by On Numbers, a feature of American City Business Journals, which is the parent company of the Dallas Business Journal. Dallas put up $3.87 billion worth of new privately owned housing in 2010, according to the data. Houston and Dallas beat out New York City, the nation's largest metropolitan area in terms of population, by constructing $3.05 billion of projects in 2010. The figures comprise central cities and their suburbs. Wednesday, August 24th, 2011 at 10:39am. Wednesday, August 24th, 2011 at 10:35am. Tuesday, August 23rd, 2011 at 11:22am. 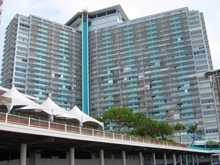 View the Oahu Housing Supply Outlook Report for June 2011 Now. Friday, August 19th, 2011 at 11:09am. According to the Pacific Business News online, "The Made in Hawaii Festival, which starts Friday and runs through Sunday, is one of the year’s biggest showcases for products made by local companies." "This year’s festival at the Neal S. Blaisdell CenterNeal S. Blaisdell CenterLatest from The Business JournalsDisney’s Aulani resort participating in May 18 job fairForfeited items to be auctioned April 30Scoops: Who’s moving, buying, opening, changing, winningFollow this company will have approximately 400 exhibitors and is expected to attract some 35,000 attendees." Friday, August 19th, 2011 at 9:06am. Existing-home sales declined in July from an upwardly revised June pace but are notably higher than a year ago, according to the National Association of Realtors®. Monthly gains in the Northeast and Midwest were offset by declines in the West and South. Total existing-home sales1, which are completed transactions that include single-family, townhomes, condominiums and co-ops, fell 3.5 percent to a seasonally adjusted annual rate of 4.67 million in July from 4.84 million in June, but are 21.0 percent above the 3.86 million unit pace in July 2010, which was a cyclical low immediately following the expiration of the home buyer tax credit. Lawrence Yun, NAR chief economist, said there is a tug and pull on the market. Thursday, August 18th, 2011 at 11:21am. One of the biggest concerns for VRBO rental owners is the cost. Your goal is, of course, to find a management company that has a commission fee that you feel is reasonable for the services that they provide. This depends greatly on the area of the home and the services that are included.